The typhoon of the 4-5 March 1891 caused extensive damage on Kosrae and was responsible for a number of deaths, the loss of virtually all buildings, and destruction of food crops. 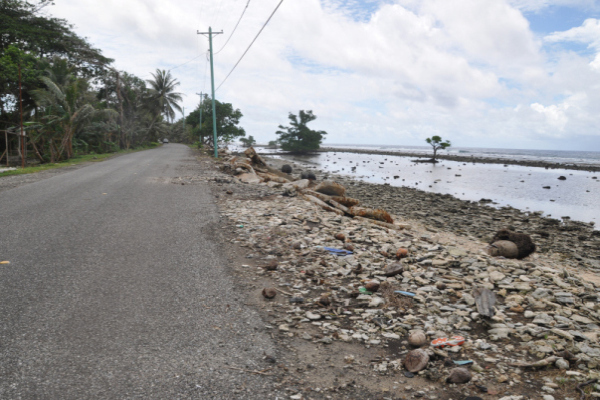 Large waves during the typhoon also resulted in a large bank of coral rubble being deposited on the reef flat between Finaunpes to Putukte and Ten Wak to Kuplu. 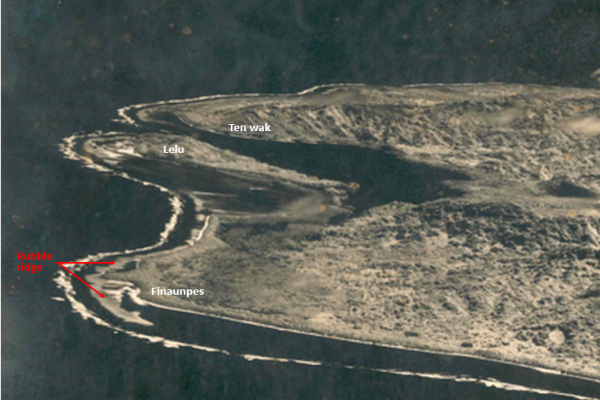 This rubble ridge, and its subsequent removal for construction material, has played a significant role in influencing coastal change on the eastern Lelu and Malem coastlines over the last 120 years to the present day. Estimated track of the typhoon during 3-5 March 1891 (Spennemann, 2004). 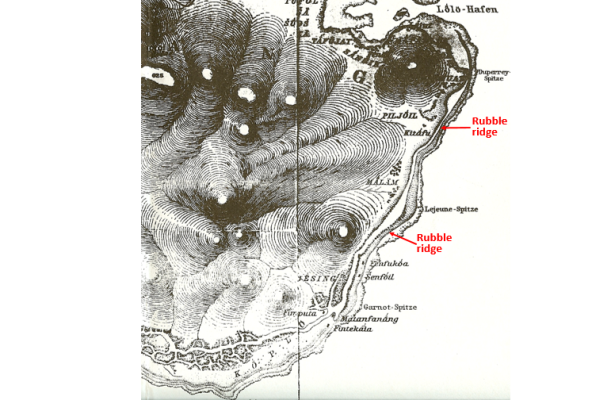 Sarfert's 1919 map of Kosrae showing the rubble ridge on the reef flat along the east facing Lelu and Malem coast. 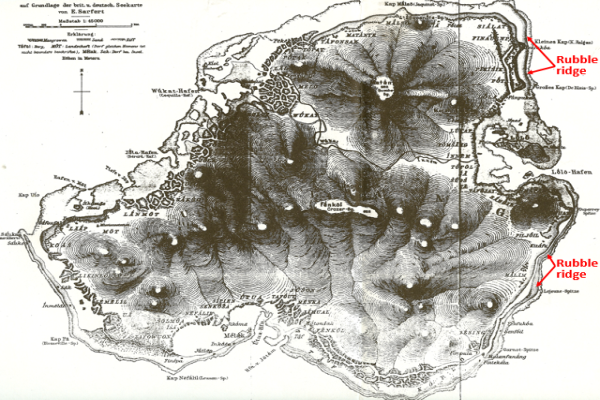 Sarfert's 1919 map of Kosrae showing the rubble ridge on the reef flat along the Lelu coast between Finaunpes and Sroanef. 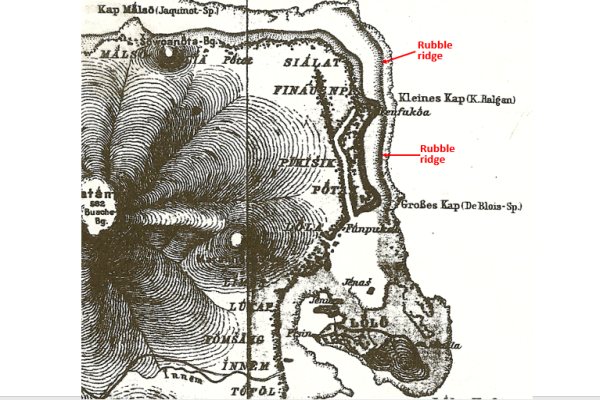 Sarfert's 1919 map of Kosrae showing the rubble ridge on the reef flat along the Malem coast between Mutunlik and Kupla. 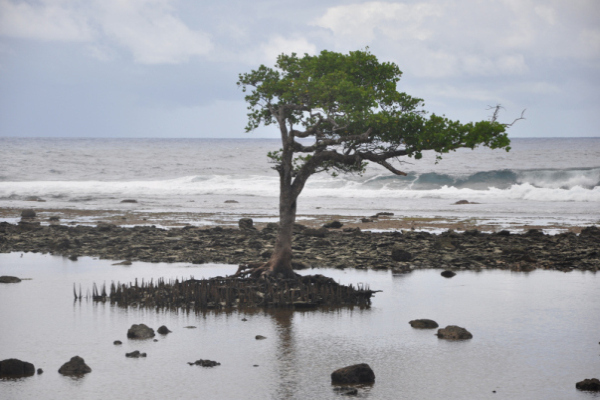 Example of a coral rubble ridge thrown up after a cyclone. 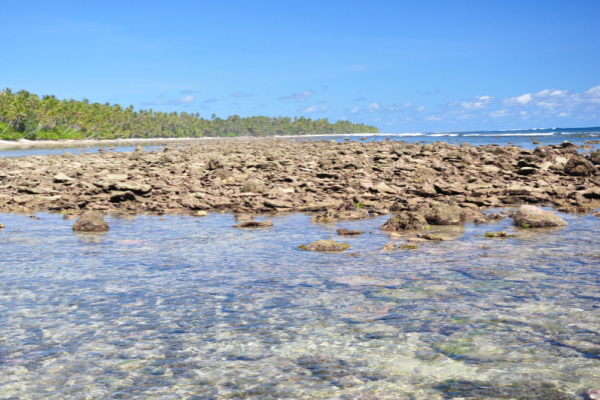 This rubble ridge was created along the south coast of Funafuti, Tuvalu by Cyclone Bebe in 1972. 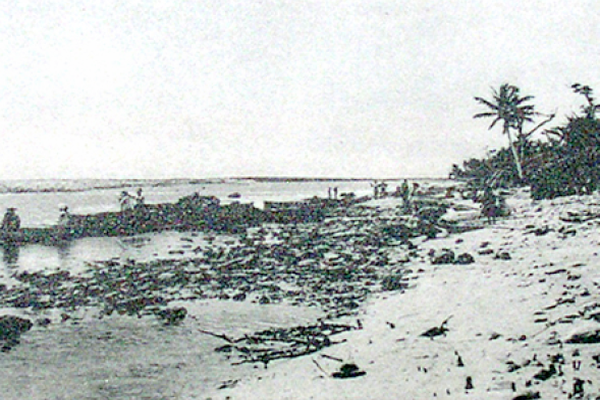 Photograph taken by Sarfert (1919): Reef on the eastern coast of Ualan (Jesing), protected by the surf from sand banks. Aerial image of the east coast of Kosrae in 1944 looking south from Finaunpes towards Lelu Island. The rubble ridge can still be clearly seen on the reef flat. 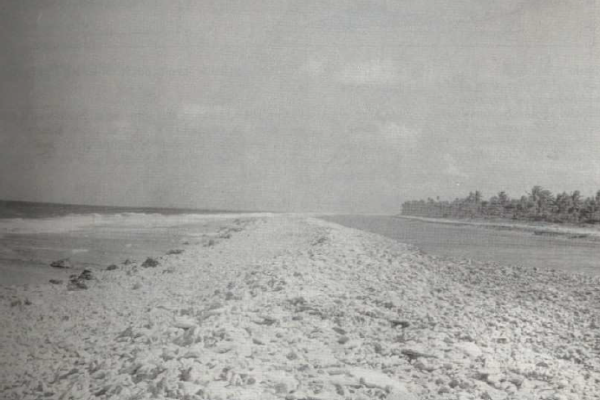 Removal of the rubble ridge for construction material after the second world war has been the major factor causing coastal change along the Lelu and Malem coastlines since. Remnant of the rubble ridge at Sroanef. Remnant of the rubble ridge at Pal, Malem. Climatic conditions in the Pacific in early 1891 were beginning to indicate the development of a weak El Nino over the northern hemisphere summer period. Kosrae tends to have an increased risk of being impacted by a typhoon during periods of El Nino. A summary of the typhoon and its impacts is provided in the book Island of Angels (Buck, 2005) from historical missionary accounts, and in Typhoons in Micronesia (Spennemann, 2004) from which the following has been sourced. Tuesday, 4 March: Strong winds rising to gale force during the morning, typhoon winds all afternoon, night, and in to Wednesday morning. Wednesday, 5 March: Winds ease as the typhoon eye passes over Kosrae late morning/noon, 3 pm winds rise again and by 4pm typhoon winds again causing damage throughout the night. Thursday, 6 March: Winds ease as typhoon moves west away from Kosrae. 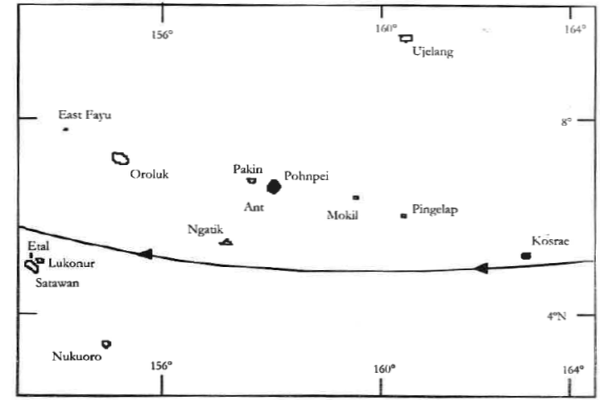 The 3-4 March 1891 typhoon, which was very destructive on Ngatik and Kosrae, was also felt on Jaluit but only to a much lesser extent, presumably as a tropical storm. Gaining momentum as it travelled west, the typhoon became severe over Kosrae, but seem to have only been felt as a storm on Pohnpei. In the absence of wind directions we cannot reconstruct whether the typhoon passed Kosrae to the north or, as is more likely based on the damaged described, to the south. 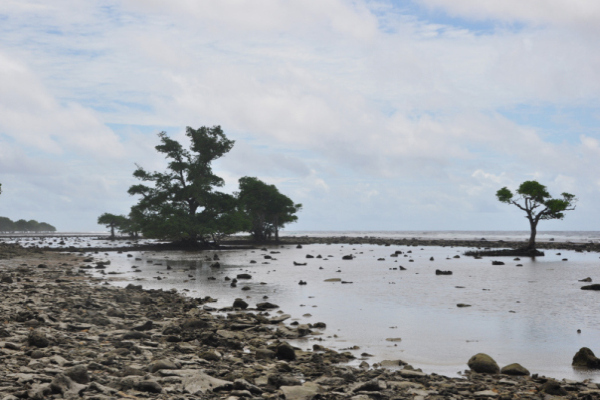 The 1891 typhoon on Kosrae damaged or destroyed most of the island and its buildings and threw up a two meter high and three to four kilometres long hurricane bank on the reef platform. The mission histories report that “scarcely half a dozen houses were left standing on Kusaie, and the breadfruit and coconut trees are almost wholly destroyed. 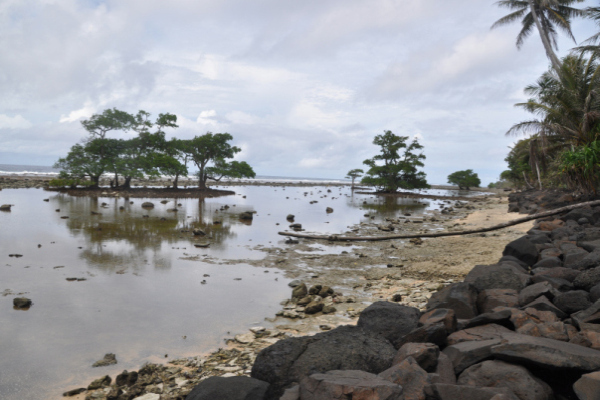 The Gilbert Islands settlement suffered the most; all but two or three of their native houses were destroyed.” The damage level observed is indicative of a typhoon of greater than 100 knots wind speed. The missionaries’ house was unroofed and its contents soaked. Corrugated iron sheeting from the girl’s school roof was blown for several hundred metres. The devastation of the food supply resulted in severe food shortages. Most of the homes and all of the churches experienced considerable damage or were completely destroyed along with all the crops. In the immediate aftermath sweet potato, a fast growing crop, was planted. This is a traditional coping mechanism on many Pacific Islands. 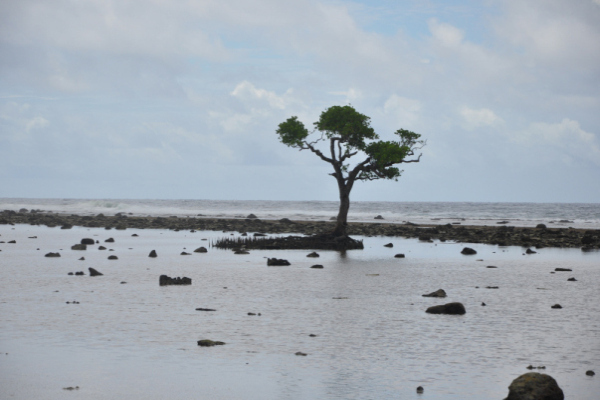 Survivors lived on fish and wild roots until the sweet potato crops were ready. Despite there only being a few deaths as a direct result of the typhoon, sickness and famine during the following weeks took many more lives, including five Pohnpeian girls at the mission school due to dysentery. Accounts of Miss J Hopkins, Mary Channon, Estelle Fletcher and Harriet Pease as recounted in: Buck, E.M. 2005. Island of Angels. The growth of the church on Kosrae. Kapakapak lun church fin can Kosrae, 1852 – 2002. Watermark Publishing. Spennemann, D.H.R. 2004. Typhoons in Micronesia. A history of tropical cyclones and their effects until 1914. Division of Historic Preservation, Sapian, CNMI.